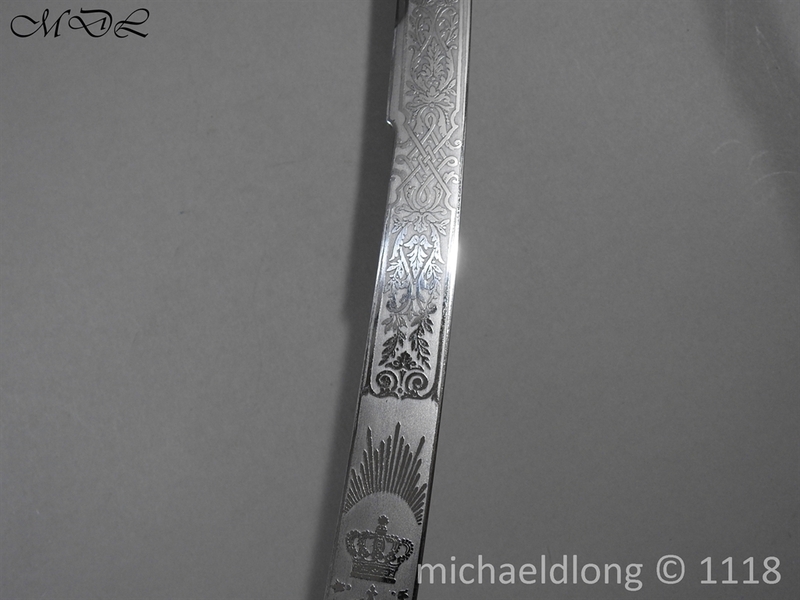 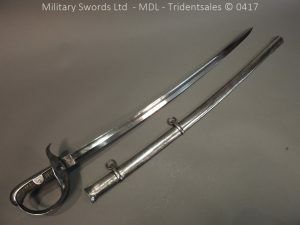 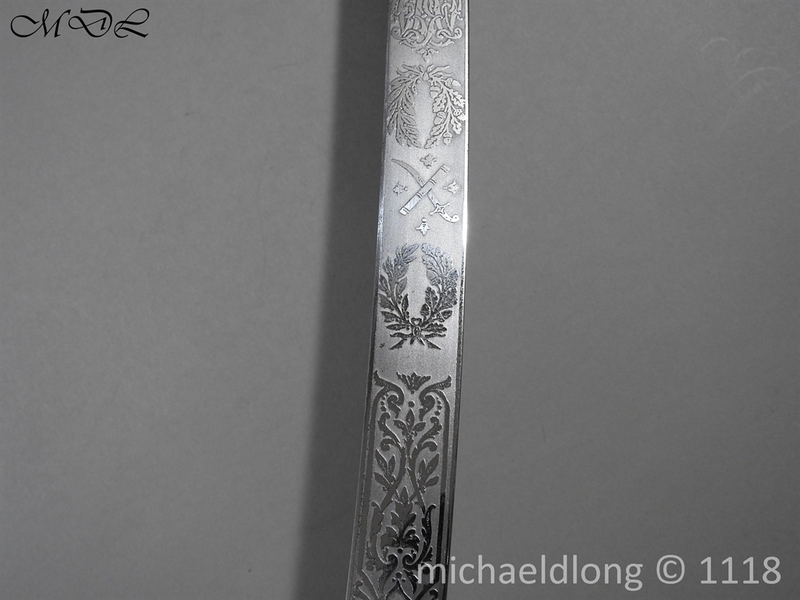 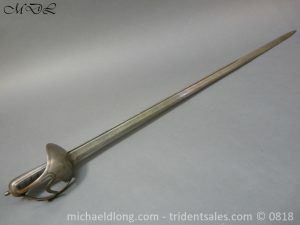 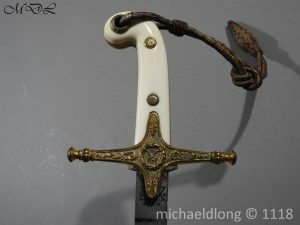 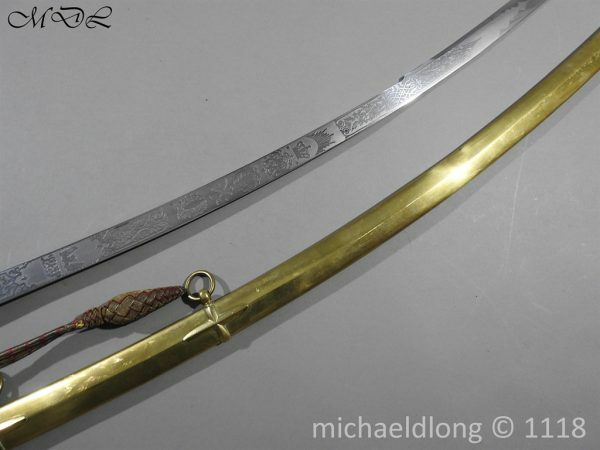 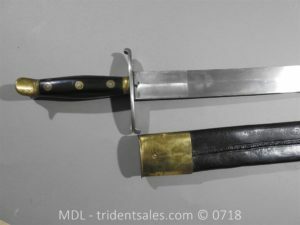 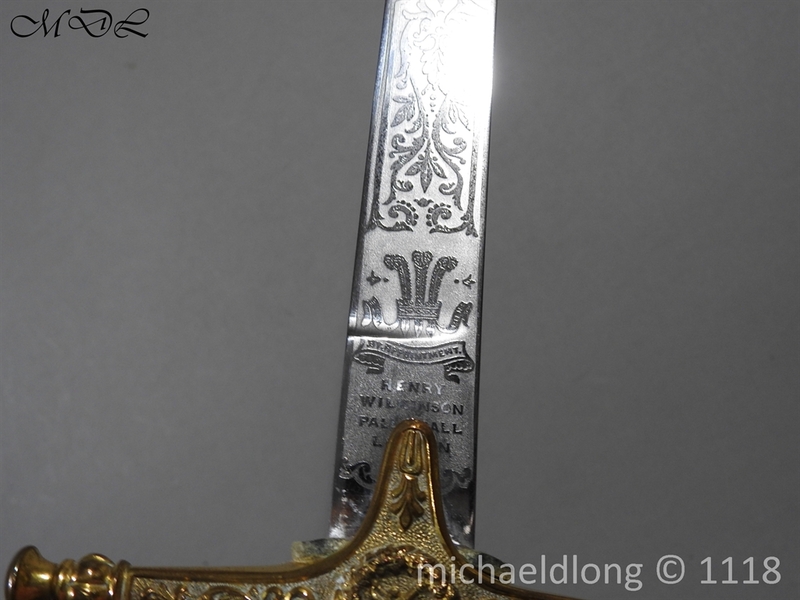 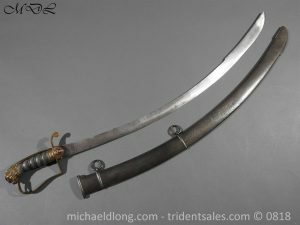 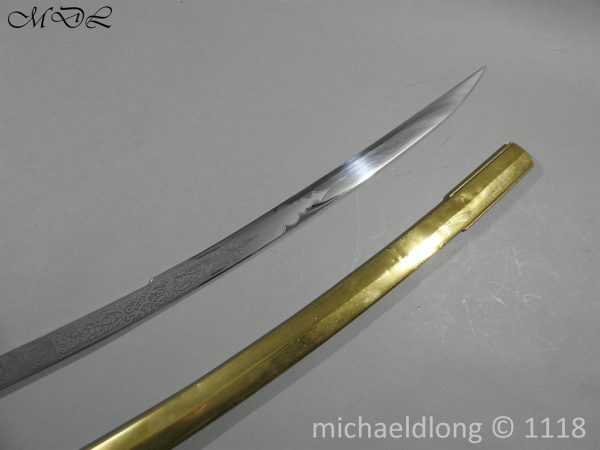 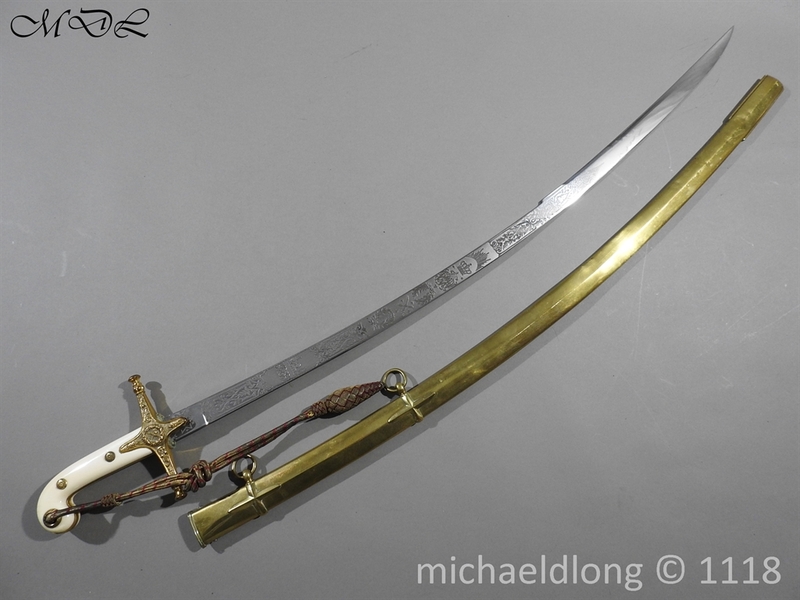 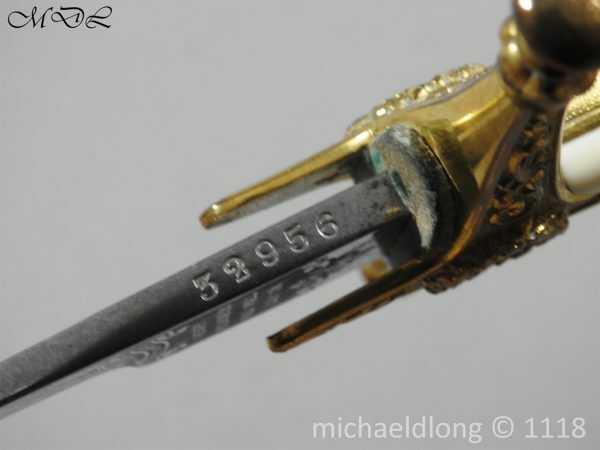 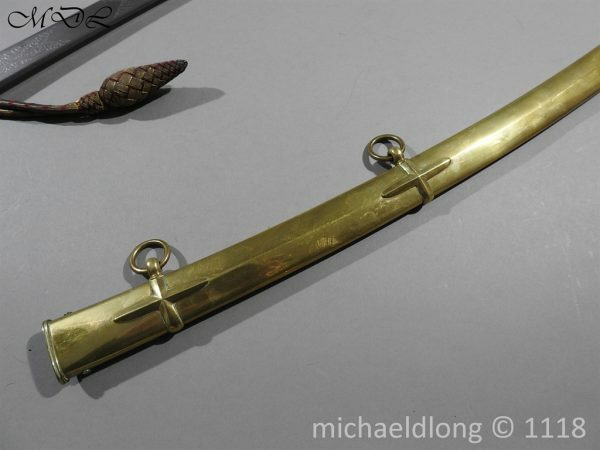 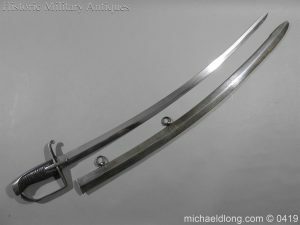 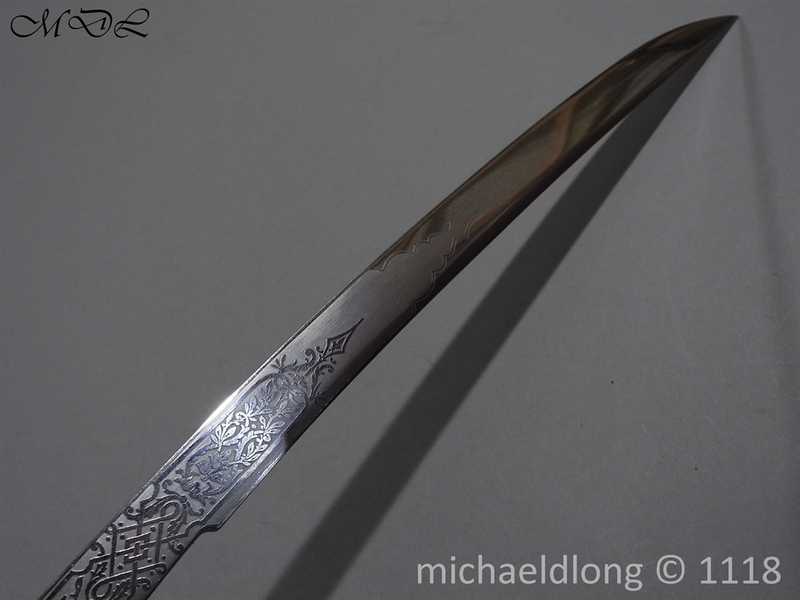 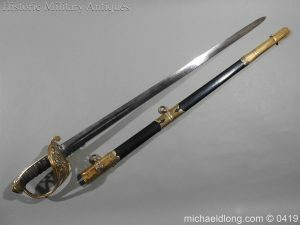 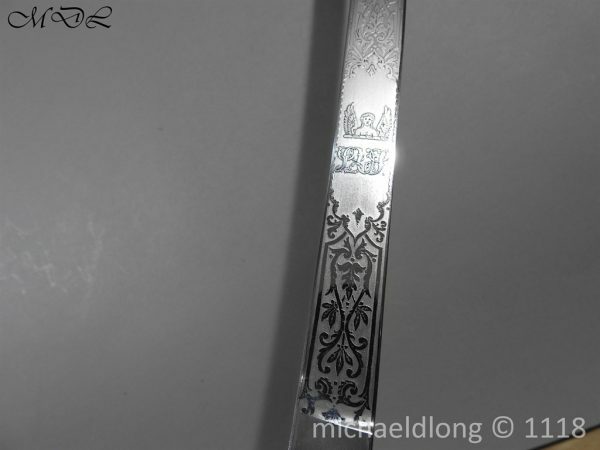 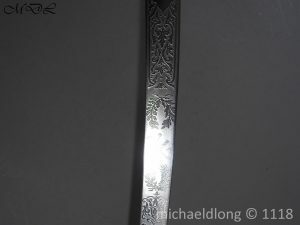 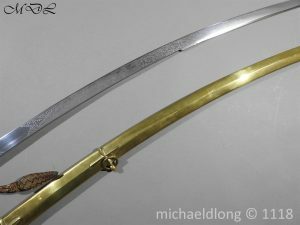 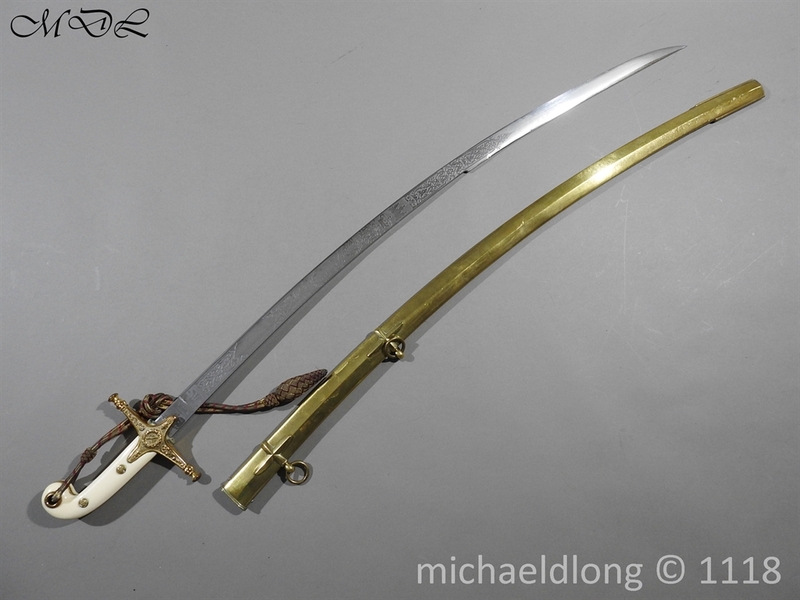 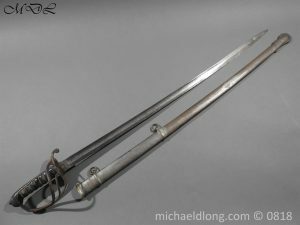 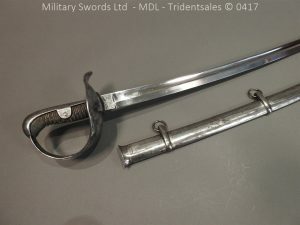 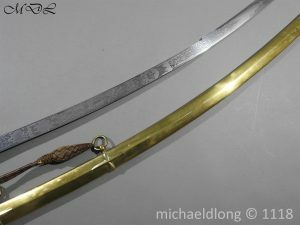 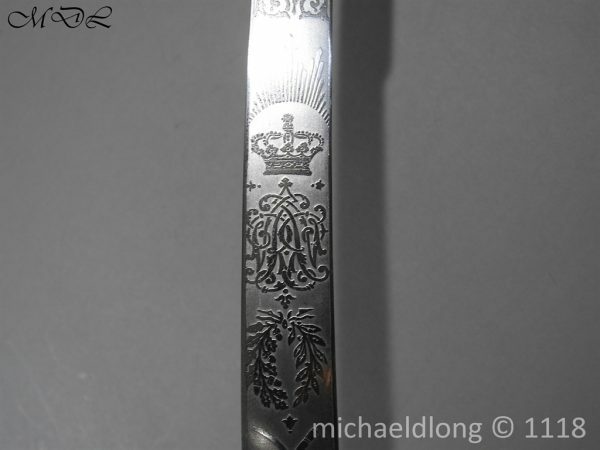 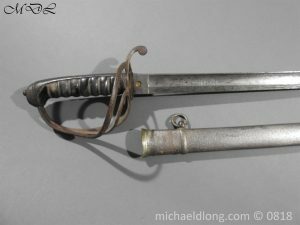 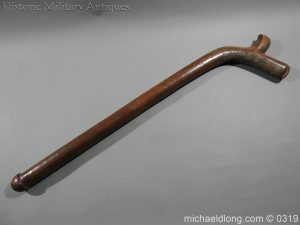 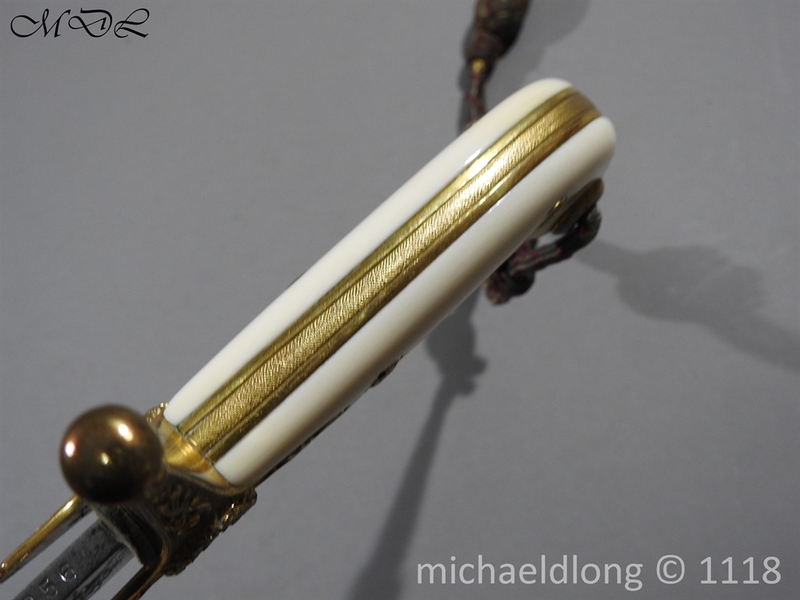 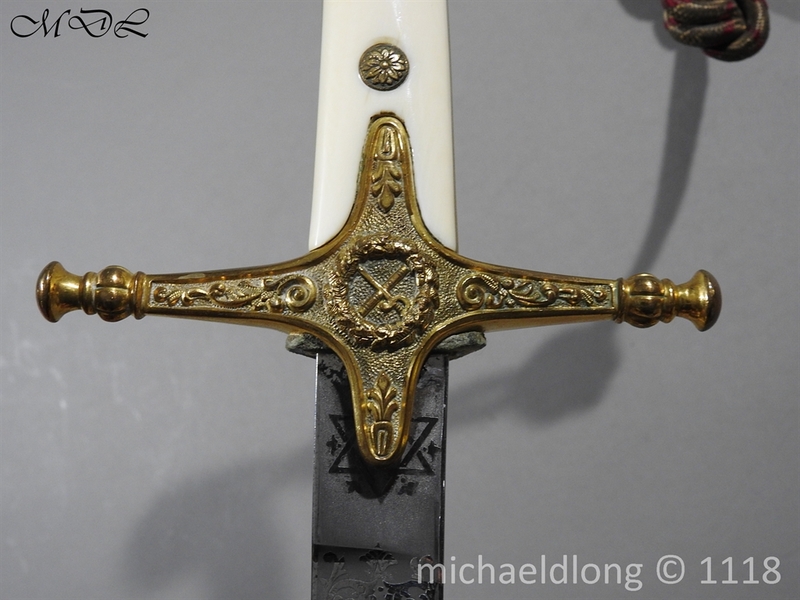 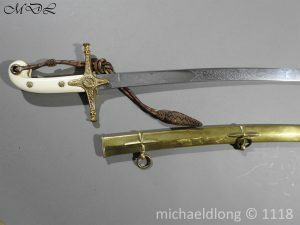 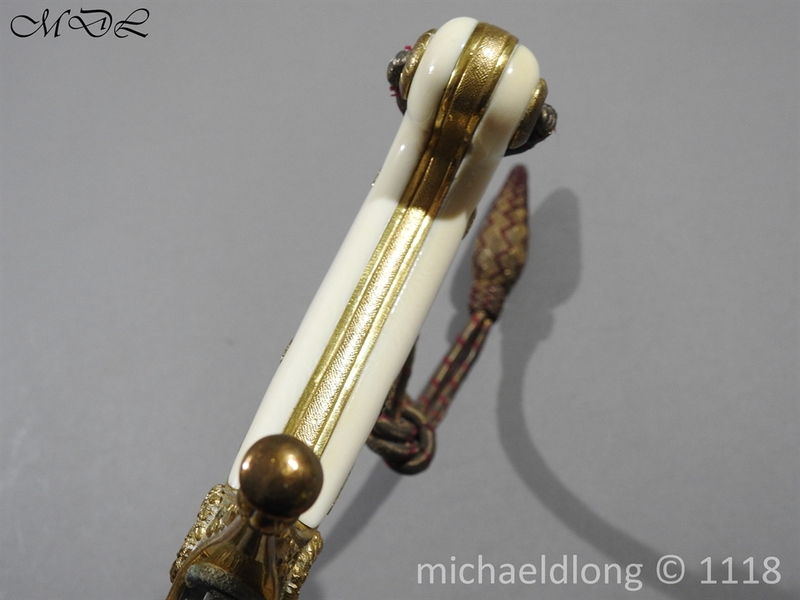 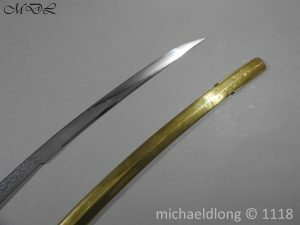 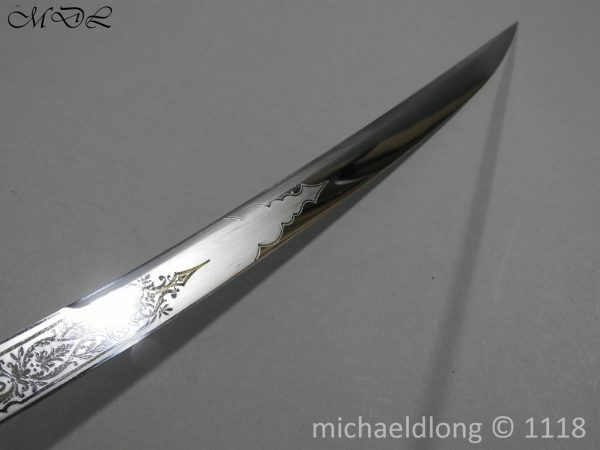 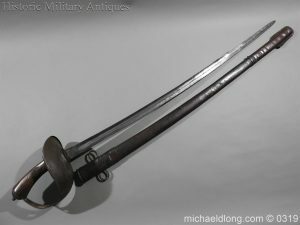 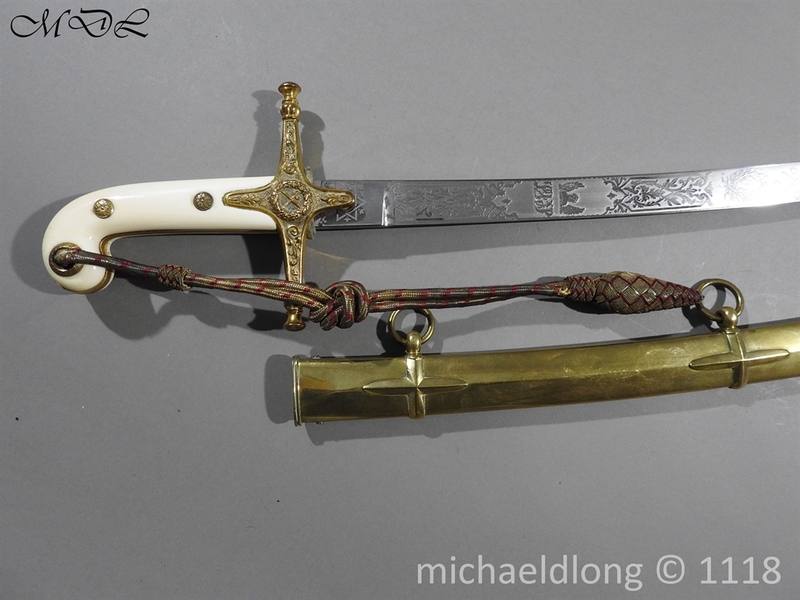 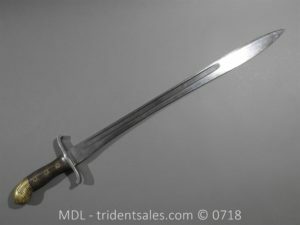 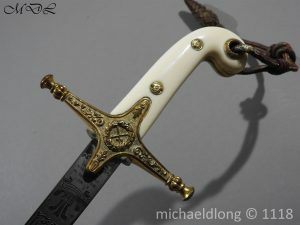 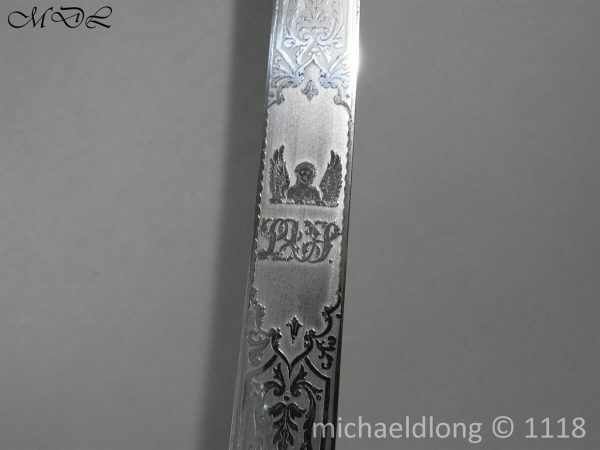 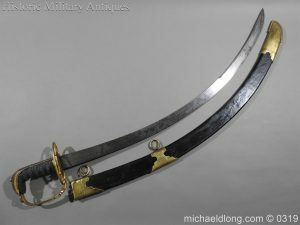 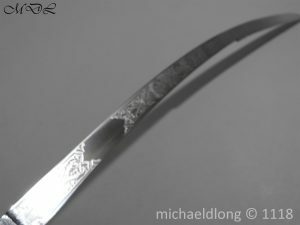 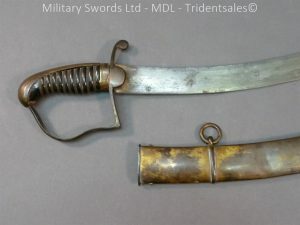 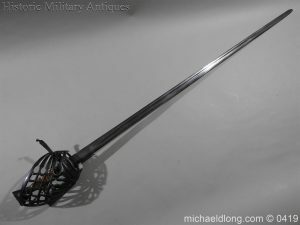 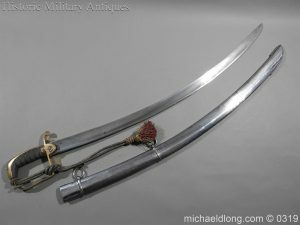 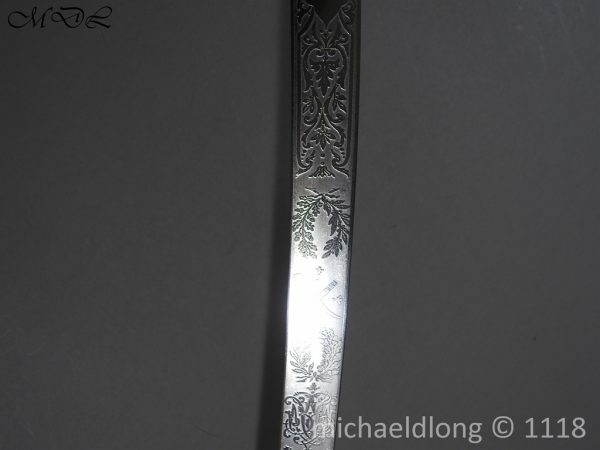 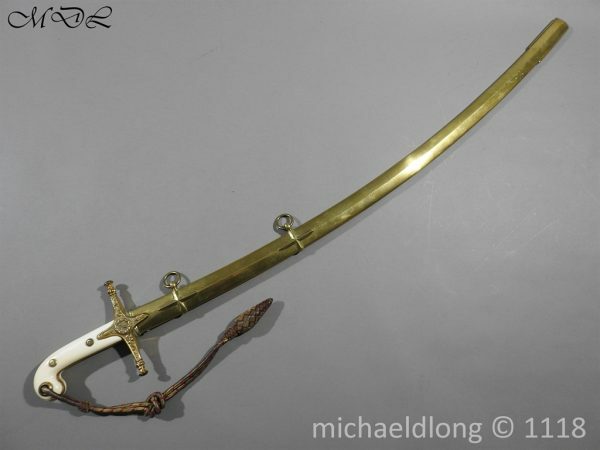 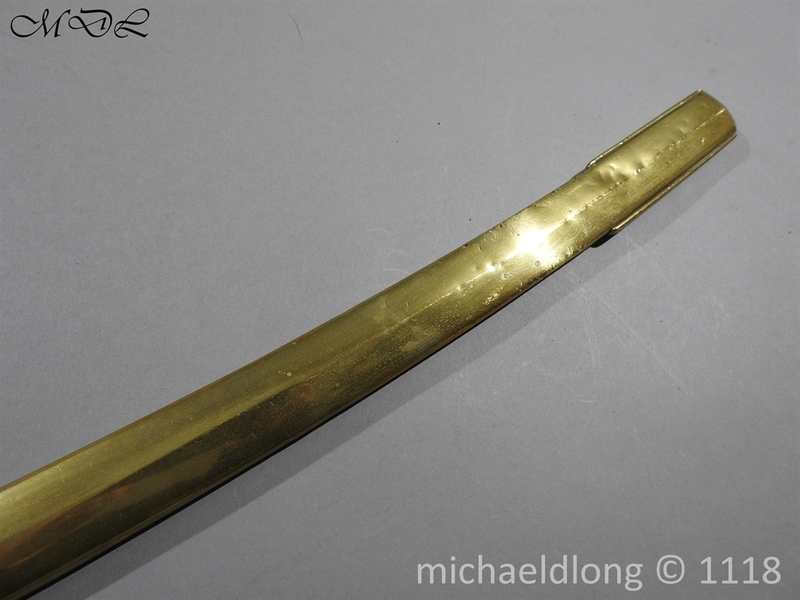 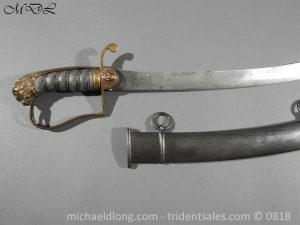 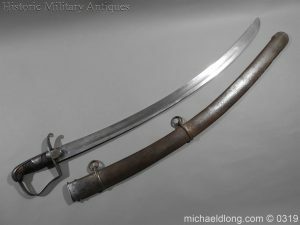 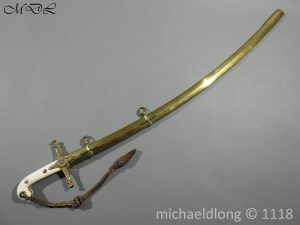 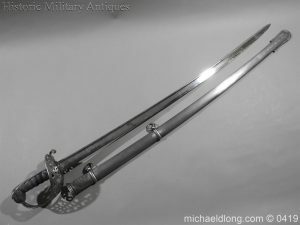 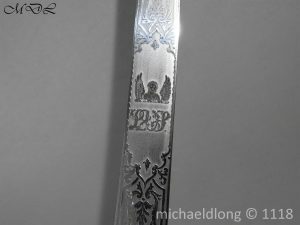 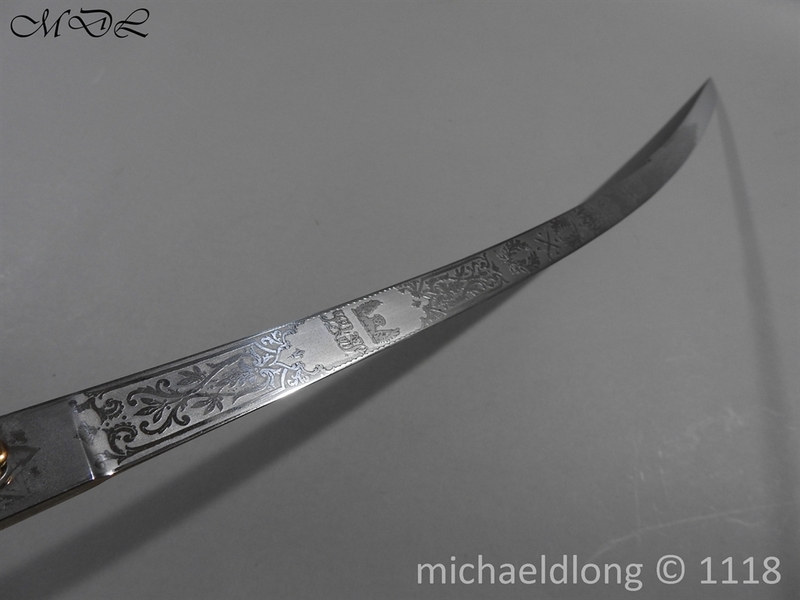 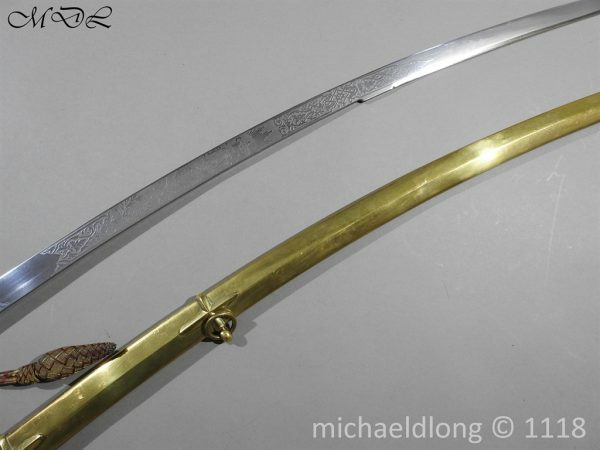 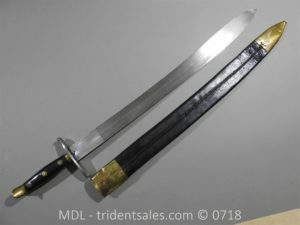 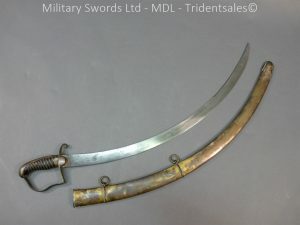 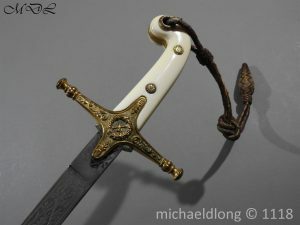 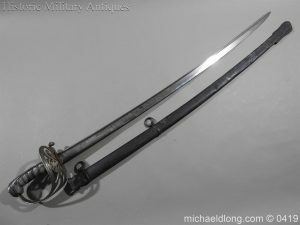 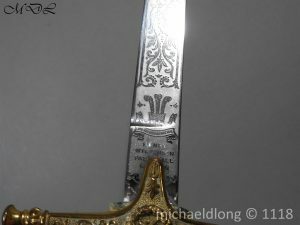 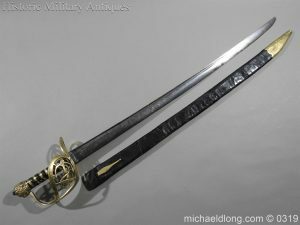 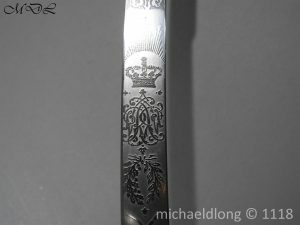 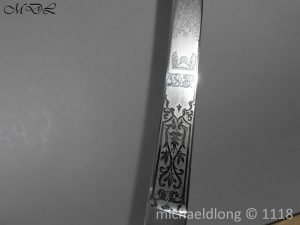 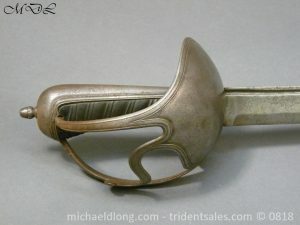 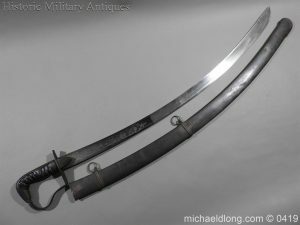 By Wilkinson Sword London and in excellent condition belonging to Major General L. V. Swaine, CB. 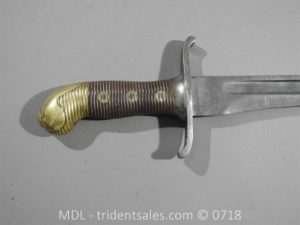 CMG and purchased in 1895 number 32956. 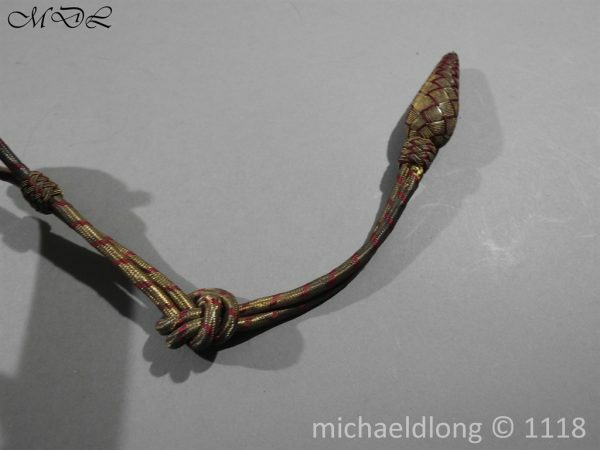 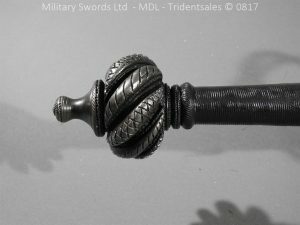 Regulation pattern sword with mameluke hilt and dress knot. 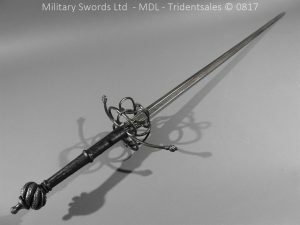 The blade is stunning engraved with cross baton and sword, Royal crown and cyphere with floral decoration plus crest and intials, complete with brass scabbard.